It’s been so cold and icy lately that my kids have been going a bit bananas, waiting for slightly warmer temperatures so that they can go outside and play. We’ve been noticing that the poor birds have been flitting about, looking hungry and sad. 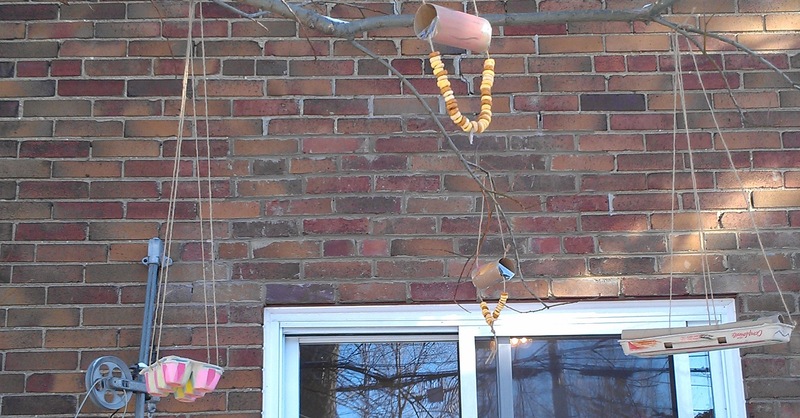 My kids and I felt so bad for them that we decided to make some bird feeders – just to help them out a bit. And to put those idle hands to good use! Time Required: 15 minutes or more. It depends how creative you want to get! Cost: I had everything on hand, so it didn’t cost me a bit. But, a large bag of bird seed is about $5. 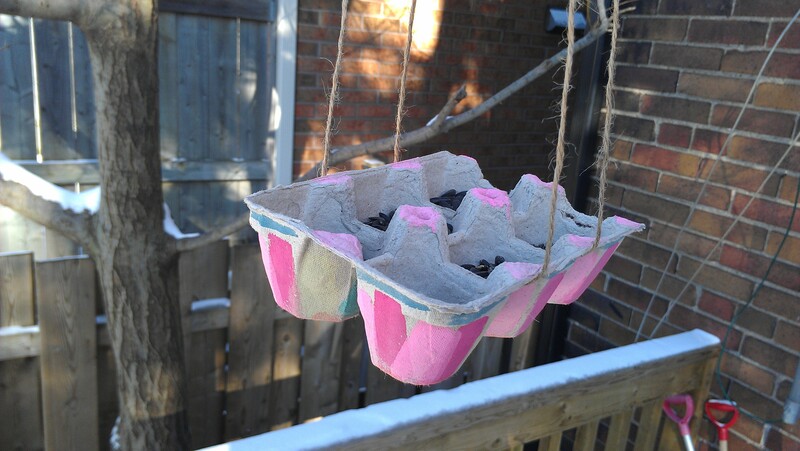 Basic bird feeder #2 has a few more steps but is still very simple. 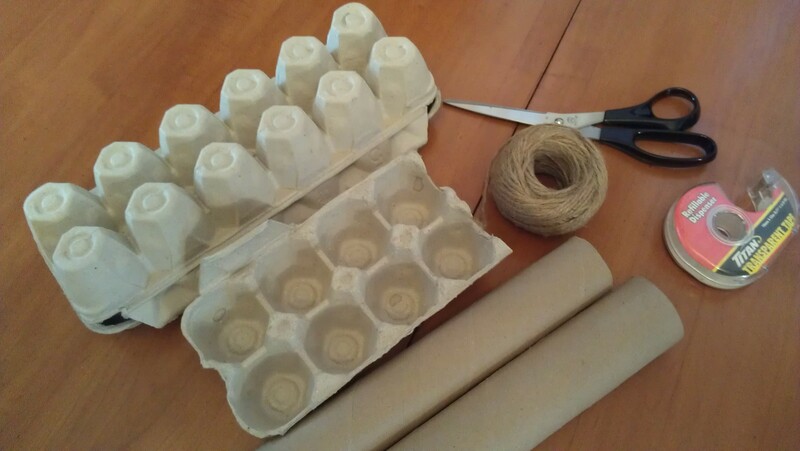 Cut a part of a roll (a bit smaller than a toilet paper roll) and hang a string through it. 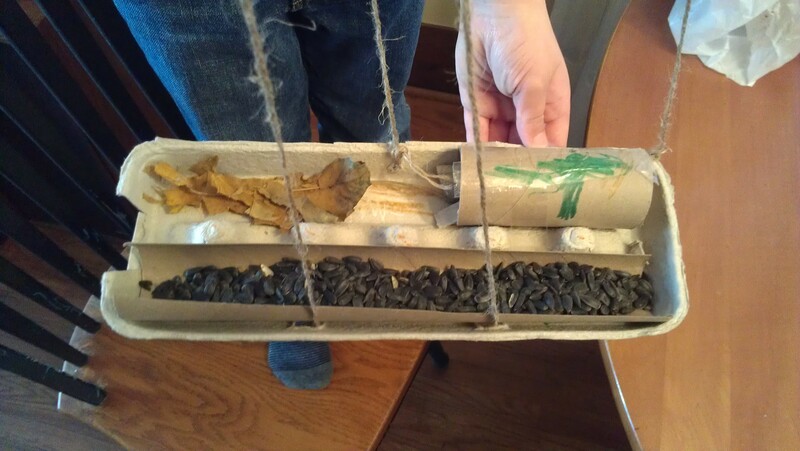 Then, tape the bottom of both ends so that the seeds won’t just spill out. You’ll want to double your tape up in front of the opening so that it doesn’t stick to the seeds. Decorate your roll with paint, markers, whatever. 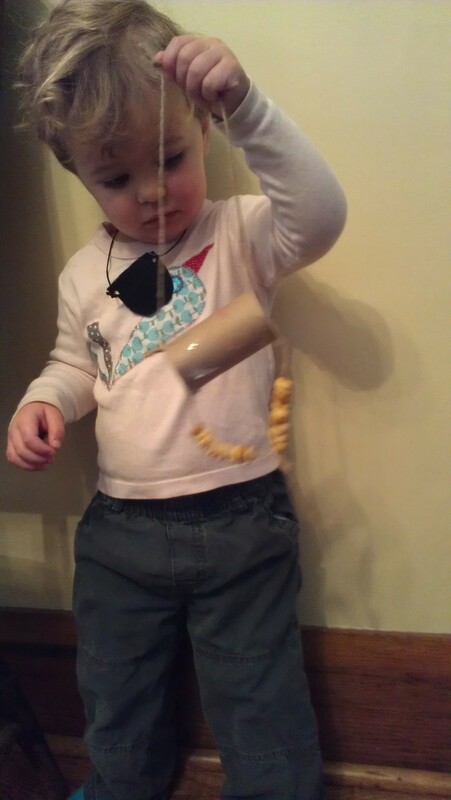 Then string some Cheerios on the string that is hanging through the bottom of your roll. If it’s difficult to string the Cheerios, just wrap a tiny bit of tape on the string ends, like shoelaces. 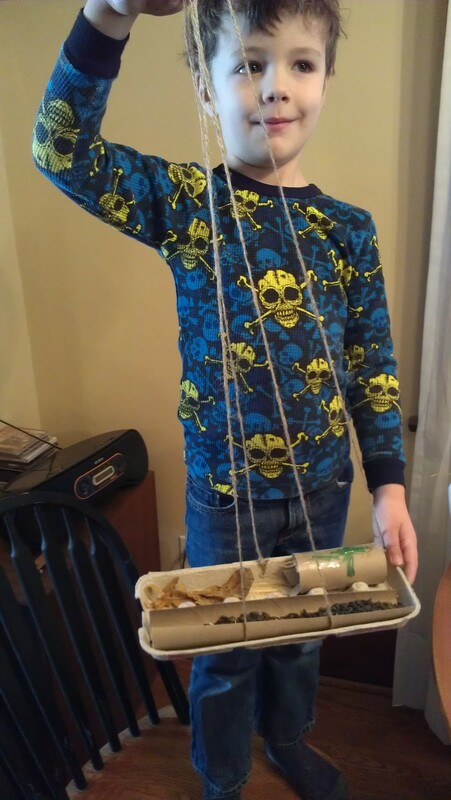 That will make it very easy to string your Cheerios. When finished, tie this string in a knot and just let it hang down. 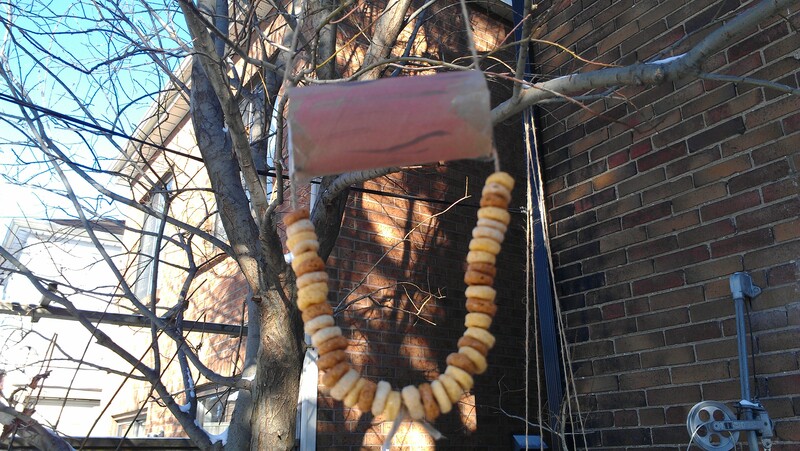 Insert another, much longer, piece of string through the roll, tie it in a knot and hang all your feeders from small branches (again, to elude those pesky squirrels).